That’s the exciting part. The first half of the game was sloppy. Very sloppy. Lots of turnovers, and in fact the score was still 12-8 about thirteen minutes into the game. UTA was having trouble on the boards against what seemed like a less-athletic, similar-sized team. I was really beginning to think that the first team to 30 might take home a win. But the second half featured more scoring, Troy really trying to get into the paint but the Mavs defense was good enough to help get the win on a night when both teams had bad shooting nights. Next up: South Alabama (7-12, 1-5) tonight, definitely another chance for a win. But as we’re learning, there were few easy wins in the WAC and even fewer still so in the Sun Belt. That would will make us 3-2 and 8-9 on the season. 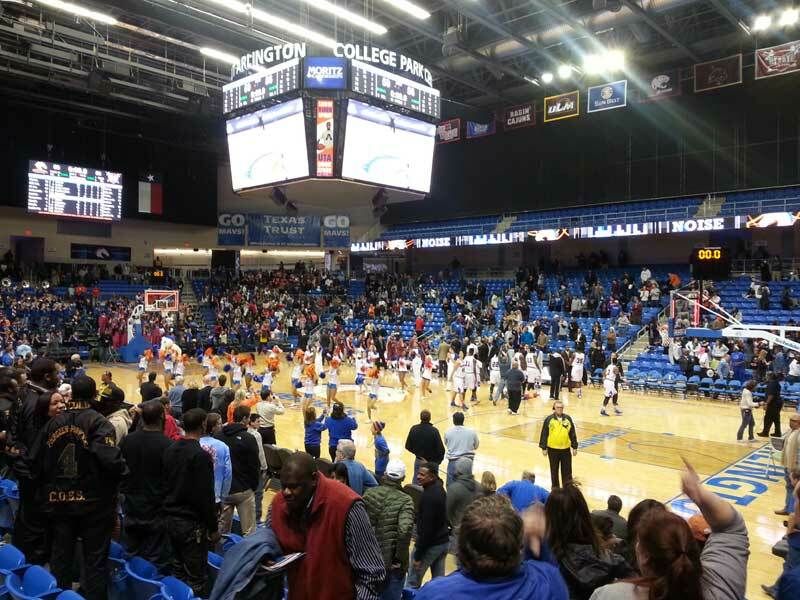 This entry was posted in Basketball, Big Crowd, College Park Center, South Alabama, Sun Belt, Troy, UT Arlington, UTA, Win by rustyhancock. Bookmark the permalink.